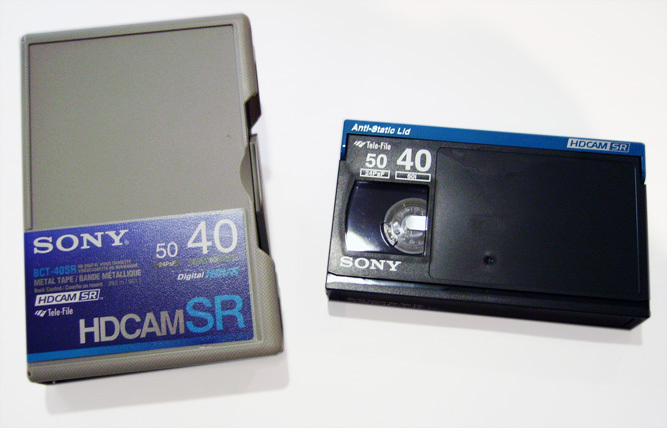 HDCAM-SR Tape is widely used as a Master Tape recording medium in the broadcasting industry, and one of the formats at potential risk of a shortage as a result of the disaster in Japan. In a landscape increasingly colored by the use of disc media, USB flash drives, hard drives and cloud-based storage, not many connected users think that tape is such a big deal. But in reality, tape is still very widely used and plays an important part in what we see, hear and access online. Quite a few existing studio, professional, and prosumer HD camcorders use tape to record video. 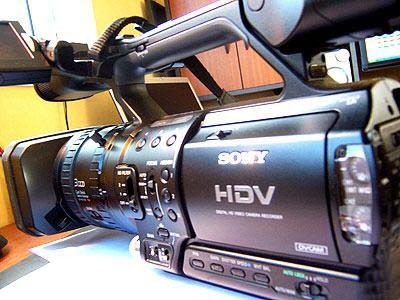 At our own facility, our standing policy is to use a combination of media when recording video for events: a digital Direct-To-Edit hard drive for speed in editing, and a MiniDV tape for archival purposes and to act as a backup in case the hard drive fails. Tape is important in other media-rich fields as well. Google’s recent e-mail outage would have been much harder to recover from had the company not made extensive of use of LTO data tape to back up users’ stored messages. Tape is cheap and reliable, and although it’s painstakingly slow to play back and retrieve information, it serves as a very effective safety net when you absolutely need to keep your video, audio or digital data safe. The most chilling thing about all of this are anecdotal reports of suppliers advising their customers to start re-using old tape stock to preserve existing new supplies. History has taught us important lessons about reusing tape. Countless television programs not deemed worthy of replay were lost when studio staff and executives chose to wipe their media in the name of cutting costs. Even recordings of the first moonwalk from the historic Apollo 11 mission were all but lost thanks to the practice of tape re-use. Given the possibility of having no choice but to re-use existing media and possibly lose things whose value is underestimated until after it’s gone, getting Japan on the road to recovery takes on a new sense of urgency in the cultural heritage and preservation community. The immediate human and financial losses are monumental, indeed. But the historical impact could radiate far beyond the region. It could ultimately affect what you watch, read, interact with, and how future generations recall – or lose – culture and history for many decades to come. The inability to easily access historically important documents, photo, audio and video due to an inability to read obsolete formats is seen as a contributing factor to a coming Digital Dark Age. The worst-case scenario fro this disaster could mean something just as bad: a loss of those records because a lack of anything reliable to store them on, at all. It’s true that this might affect official recordings of events, but it provoked a related thought. YouTube has revealed that there are hordes of amateur video hoarders (pun intended) who have countless hours of old television in their collections, at least from the VCR era forward. YouTube deliberately does not do much to organize their collections, leaving the risk of copyright violation to its members. But is there any thought to crowd-sourcing gaps in official video collections?